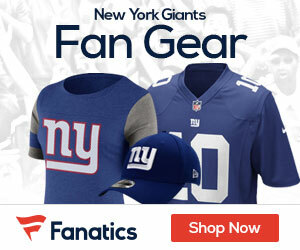 « Giants Pluck Wounded Philly-Birds: Don’t Get Giddy! It’s early October, and the Giants are struggling. Not just struggling to the Giants standards, we’re talking Jaguars struggling. A Giants team that appears to be decimated of any clear-cut leaders on both sides of the ball, and opposition scoring at will on Perry Fewell’s non-existent defense. Fresh off being dismantled by a winless Panthers, and last years worst team in the Kansas City Chiefs, hope in East Rutherford had gone out the window. For god’s sake, even the Jets were winning! The same old Jets led by the Big-Mouth Coach Rex Ryan and Rookie Quarterback Geno Smith. Something had to be done. This Giants team wasn’t THAT bad, was it? Did this team just not have a leader? Well, in hindsight, that’s exactly what the situation was, and thank the lord Mr. Reese and Coach Coughlin realized this. The whole dynamic of the New York Giants changed, all in one day, on October 3rd, 2013. Enter Jon Beason. Jon Beason? The linebacker that made three Pro-Bowls like three years ago? He still plays football? To many fans, Beason had completely fell off the map, due to injuries that slowly demoted him to be the backup to Chase Blackburn, a former Giants LB. Really? Yes. And on October 3rd, Jerry Reese pulled the trigger to snag him from Ron Rivera’s squad. NYG fans everywhere had very mixed feelings. Many remember his glory days as the feared linebacker that rivaled Ray Lewis as the League’s Top Linebacker, while others remember him as the player that hasn’t contributed to a game significantly since 2010. Regardless if he was hobbled in times past, the Giants just received the largest boost the organization has seen in years. Just days before the big Eagles-Giants game, Beason was ready to go if the team needed him. The guy dressed for the game, only on the roster for less than three days. Although not utilized due to unfamiliarity to the playbook, Beason was ready to join the Big Blue in taking down the rival Eagles and spark some magic into the team. Now lets fast forward FOUR days later. That’s right, four days. Thursday Night Football against the Chicago Bears. Surely Jon Beason wasn’t ready to come in and turn this defense around? False. Mr. Beason totaled 11 individual tackles, and one assisted tackle. Where did that come from? Did the Giants just get a Linebacker?! You bet, Giants fans. Since that huge Thursday Night, Beason has light a fire under this Giants Team, holding opposing offense’s scoreless through 10 quarters, and combining for 13 tackles. Any Giants fan can tell you that this defense looks like the 2007 and 2011 Giants defense’s that enjoyed Super Bowl victories. There’s a new passion throughout the players on each and every play. And this isn’t just a coincidence. This is all thanks to Jon Beason. Watch his passion and fire every time the team makes a tackle, a sack, and interception, or even a deflection. He’s out there screaming and jumping while encouraging his team to play harder and harder every whistle. Giants Fans, does this sound familiar? A linebacker inspiring play for his whole defense, leading squads to hold opposition scoreless? It sure does, and the mention of this Giants great in the same sentence of any player is as BOLD as it gets, but it is sure justified after these few weeks. If Beason decides to stay with the team after the 2013 season, and remains healthy while continuing the intense and inspiring play of late, he could very well be on his way to becoming the Giants next Lawrence Taylor. Let me explain. I am certainly not forecasting Beason to get into some serious legal troubles. I’m talking about the 1980’s Taylor, the guy that could strike fear into even the most frightning offensive players in the league. Beason and Taylor are very similar in many ways. First, lets look at their physical attributes. They both weigh a very sturdy 235 pounds, and are 6’0″ and 6’3″, respectively. They both looked as if they were the largest player on the field, even if they physically were not. When a quarterback was adjusting a play call, these guys were the first he saw staring into their souls, sending fear their way. But these two Mike Linebackers didn’t just play mind games with opposing players, they inspired their own team. Lawrence Taylor was drafted with the second overall pick in the 1981 NFL draft by the New York Giants, a team that was only 4-12 the year prior, and clearly needed a new voice to lead them to victory. And guess what Taylor did? He helped lead a once decimated, flat Giants defense to a 9-7 record, eclipsing the .500 record mark the owners and fans prayed for beginning the season. Now in the modern day NFL, Jon Beason was sent to a Giants team that was severally reeling. On his way to a team that lacked motivation and excitement, nonetheless wins. With Beason on the field, the team has held opponents scoreless while pouring on tackles the Giants haven’t seen by a Linebacker for years. Now that Beason has almost replicated what Taylor had done back in the 1980’s, it’s time for him to follow in his footsteps. Beason has all it takes to become the next great Giants linebacker. He plays inspired defense, with the rare ability to bring a team together in a short time to play up to their ultimate potential. The two Mike linebackers strike fear into offense’s hoping to score in bunches, virtually stopping the run and taking away all passing in the middle of the field. Beason has all it takes the be the second coming of the great Lawrence Taylor, and now all he needs to do is stay healthy and sign with the Big Blue on a long-term contract to keep the Giants defense as strong as it’s been the past few weeks. I just became a Giants fan after this article on Jon Beeson! They aren’t QUITE as bad as the Jags. I’ll see if I can give you an updated visual from last week. This is one of the best articals I have read in a while. Second, I don’t think you can measure up Beason’s attributes and accomplishments to Lawrence Taylor’s for the simple fact they both played in very different ERA’s in the NFL. Beason, love the guy, I thought this was one of many sharpest moves Jerry Reese has ever made in Beason; many have written him off, but he has shown what he can do and if he stays healthy, WOW!! Sky is the limit for the NYG Defense. Where I will agree with you on is the motivational factor Beason has played as the “QB” of the defense as players seem to be in the right spot since Beason took over as the Mike backer. The defense has definitely stepped up their effort and as you can see, the defense is playing more “freely” on the field. I was able to get on the Giants twitter chat w/Beason and you can tell the passion he has for football, THE U and the NY Giants check it out. Of course, any comparison to the Giants great is a strong statement. I can absolutely respect your comments on the matter. Personally, the way I view Beason at this moment in time is how he has brought this Giants team together, and how he has sparked the defense after the 0-6 slump the team experienced this season. Like in my article, I was writing as to how he COULD become the a big time player LT was, as he has some undeniable skills and an eerily similar demeanor to him that resembles Taylor back in the day. He isn’t there yet, and he may not get there for a season or so, but Jon Beason is special. He brings some great talent to the team in all facets of the game, and he could very well end up as the Giants next great linebacker. I’m confused. Why are you comparing Jon Beason to the greatest defender ever? You should be slapped.